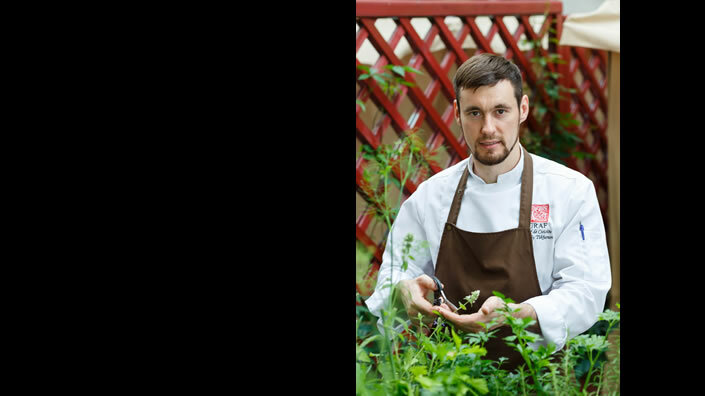 Vitali Tihhonov – young and creative chef. 12 years he works in the field of high cooking. 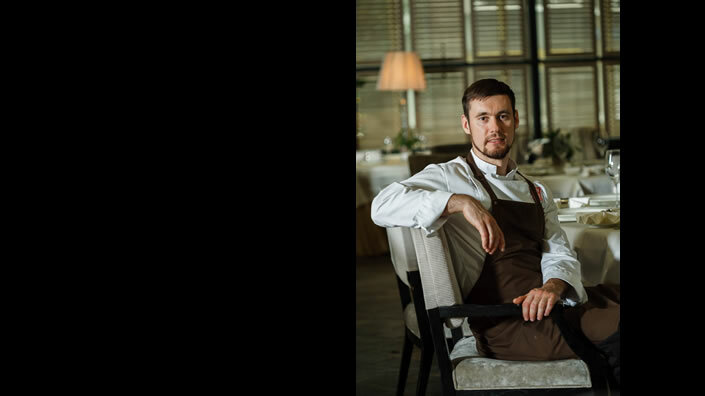 Vitali was stagier at restaurant Geranium (Copenhagen, Danmark – 2-star Michelin restaurant) and Maaemo restaurant (Oslo, Norway – 2-star Michelin restaurant). 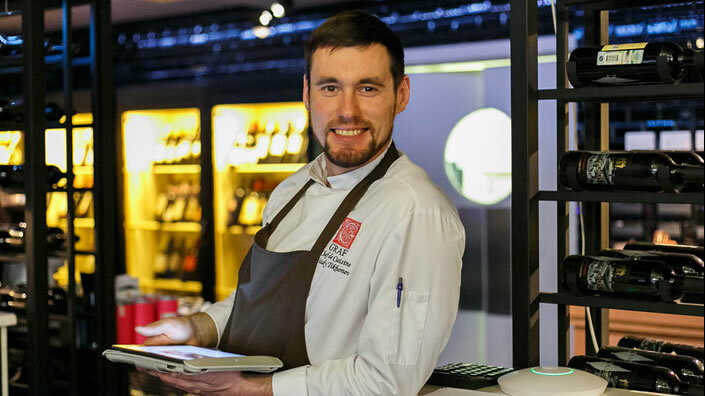 Then Vitali was one of the head chefs in gourmet restaurant in Tallinn “Korsaar”, chef in Norwegian traditional fish restaurant (Norway), executive chef in the restaurant and hunters house “Trofee” (Tartu, Estonia), souschef in gourmet restaurant “Le Bonaparte” (Tallinn, Estonia), chef in the “Uniquestay hotel” in Tallinn, Estonia. 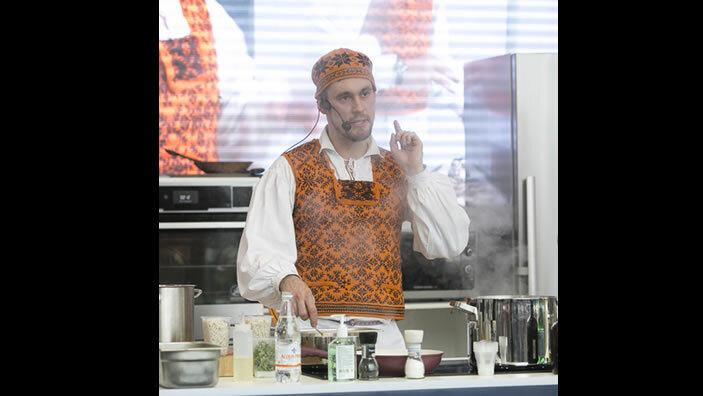 At 2008 Vitali made catering for wedding (60 persons) in Finland with his collegues from “Le Bonaparte”. 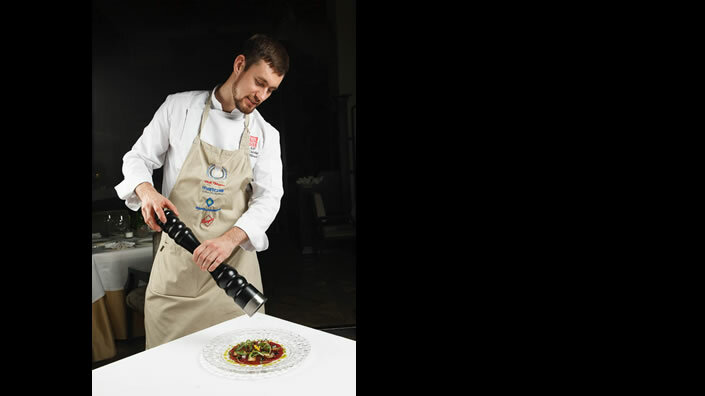 At 2013 Vitali Tihhonov won 2-nd place in Moscow culinary Kremlin cup – silver medal (main Restaurant fish dish, black box category) and won 3-d place – bronze medal (fish banquet dish for 8 persons). Also he won 2-nd place in team competition-representing Metropol Moscow Hotel (1 of 4 team members). Vitali likes the French and Scandinavian cuisine. He mixes amazing dishes from different cuisines. You can verify this by visiting a restaurant “GGRAF” in Moscow!